How to Start a Newspaper. Starting a newspaper business is not an easy task. It requires hard work and commitment to launch the first issue and keep the public interested in the publication. You must be willing to go the extra mile to gather important news and present it in a fair and factual manner. Start your own newspaper business by taking into account the following steps. Do a general survey before launching your newspaper. Find out how many people are interested in reading newspapers and what kind of elements they would like to see. Know about your competitors and make a strategy to make your newspaper stand out. Contact your county or state to obtain a legal permit to start your own newspaper. Register your business with the county or the state before publishing your first copy. Pay the normal registration fees which vary by state. 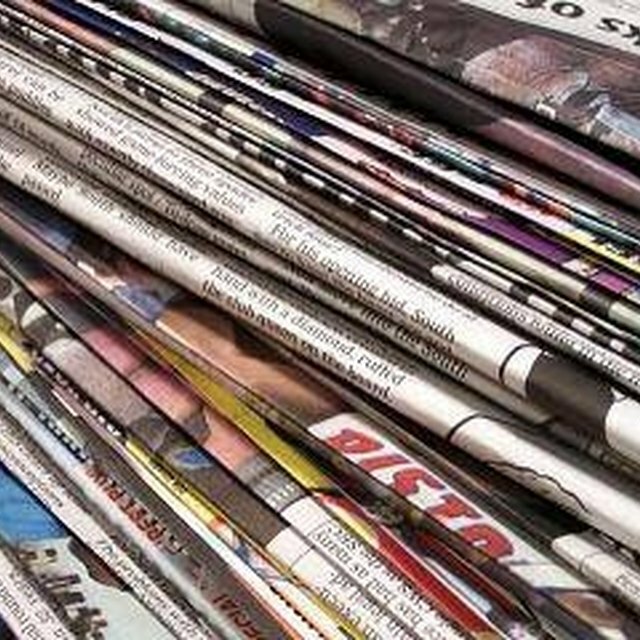 What Are the Characteristics of Print Media? Start by hiring a few reporters depending upon the size of your newspaper. Employ a few individuals to do the page layouts. Also make a contract with a printing press or a web press in your area for publication. Edit the newspaper yourself if you have enough knowledge or appoint a professional editor. Contact local businesses and encourage them to place advertisements in your newspaper. Offer them good rates so that they are tempted to buy ad space. Talk to your local newspaper distributing services and post office to go over mailing options for your newspaper. Pay the initial postage fee and mail the first copy of your newspaper to a specific neighborhood that you want to reach. Another option is to have the paper delivered to one area one week and another area the next week. Place free copies of your newspaper at local stores, subways and malls for a wider advertising campaign. Hopefully people will subscribe once they get interested in the newspaper and its unique approach. Keep the initial price of the newspaper as minimal as you can to attract more subscribers.